From the thoroughly daily cleansing to the daily use of sunscreen during the summer time, taking care of your skin is one job you can never put on hold. Drinking plenty of water, having a healthy diet and using the right cosmetics for the needs and health of your skin are all things that matter and you do need to get all the info you need for developing the proper skin care routine. What do you know about Neutrogena? 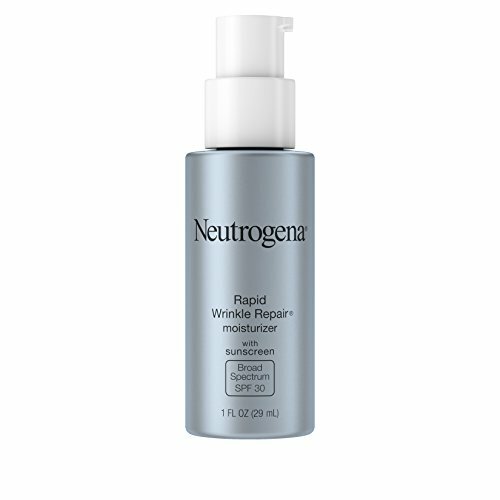 What’s so special about Neutrogena Rapid Wrinkles Repair Serum? Taking a closer look at the ingredients. Why do they work? How does it feel when using the serum? What are the tips to keep in mind when using it? What are the best parts about it? What are the downsides? The brand of the Johnson &Johnson Consumer Inc. is the one of the most well-known skin care dermatologist-recommended brands. It gives us some of the most popular skin care and beauty products and its market is spread in more than 70 countries. Neutrogena is recommended highly by dermatologists in the USA and never disappoints with the quality and price of its products. 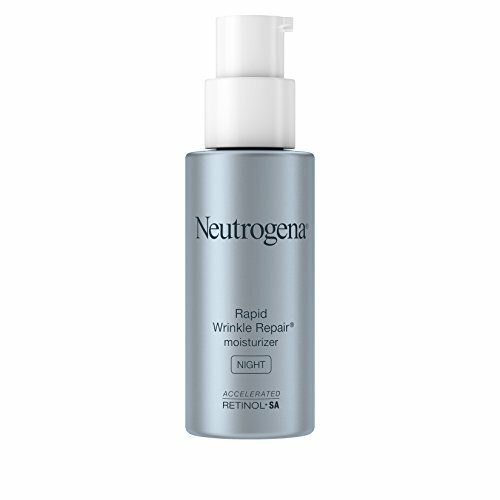 The Neutrogena Wrinkle Repair Serum is going to smooth out skin, giving noticeable results within a week. Its formula is based on an effective combination of retinol SA, hyaluronic acid and glucose complex. It’s a lightweight and silky serum that renews your skin and moisturizes it, reducing the appearance of wrinkles and fine lines even faster than expected. It rejuvenates the skin and makes it look younger and smoother. The serum is going to work fast against the signs of aging and the reason behind the performance is the accelerated Retinol SA with Glucose Complex. Add the hyaluronic acid within the formula and you start to understand why the serum is a sure option most of the time. Retinol SA- is renewing the look of your skin throughout the day. It reduces the visibility of wrinkles and makes the age spots slowly fade away. It’s a higher form of retinol and benefits the skin. It’s highly effective, yet gentle and smooths out the wrinkles faster than regular retinol. Hyaluronic acid- holds 1,000 times its weight in water and we’re naturally born with it. As we age, we start losing it, which translates into the aging of skin. It goes deep within the skin and seals in moisture. It hydrates and moisturizes the skin for quite some time, helping the skin look and feel replenished, younger and healthier. Glucose complex- it the Retinol SA booster that speeds up the skin’s activity, for quicker results on the visibility of the fine lines and wrinkles. Sodium lactate- is a natural salt that comes from the natural fermentation of lactic acid. It’s naturally occurred in the skin. It has antimicrobial properties and is able to block the bacteria developments. It’s used as a preservative, but also as an exfoliator and buffering agent. It also controls ph. The efficiency of the serum comes from the one-of-a-kind combination of the ingredients. The serum makes the dark circles more difficult to notice and softens the skin right the way. It lessens the appearance of crow’s feet, cheek wrinkles and forehead wrinkles too. It evens your skin tone and brightens the skin under the eyes. You should always begin with a good and thorough cleansing of your skin. You only need to use a pearl-sized amount for each use. In order to help the serum, absorb faster into your skin, it’s better to use gentle strokes until you’re sure the serum is fully absorbed. Pay some extra attention to the wrinkle prone areas. You may use the serum AM and PM. Its formula is lightweight and the serum is great as a primer or under moisturizer. Some use it right under their makeup. It’s important to remember that the serum may lead to mild redness, a tingling sensation and to give a warm feel on skin. It may even lead to a mild skin exfoliation. These symptoms aren’t permanent and they only mean the serum is doing its job. However, if the effects become uncomfortable and don’t go away after a while, it’s better to use the serum only once a day. You may even use it every other night, giving your skin some time to fully adjust to the formula. Once the symptoms are all gone, you can go back to daily use. 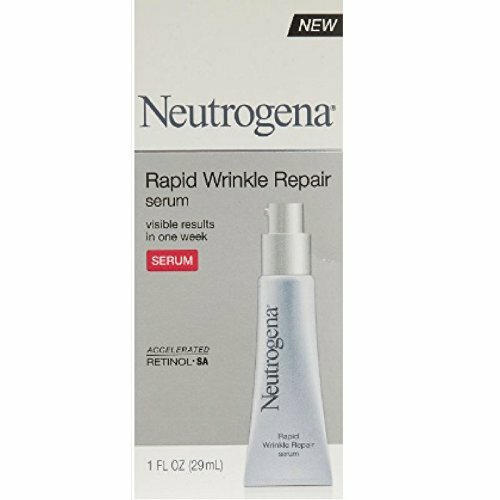 Neutrogena Rapid Wrinkle Repair Anti-Wrinkle Retinol Daily Face Moisturizer, with SPF 30 Sunscreen as it’s going to moisturize and protect your skin from sun’s bad UVs at the same time. 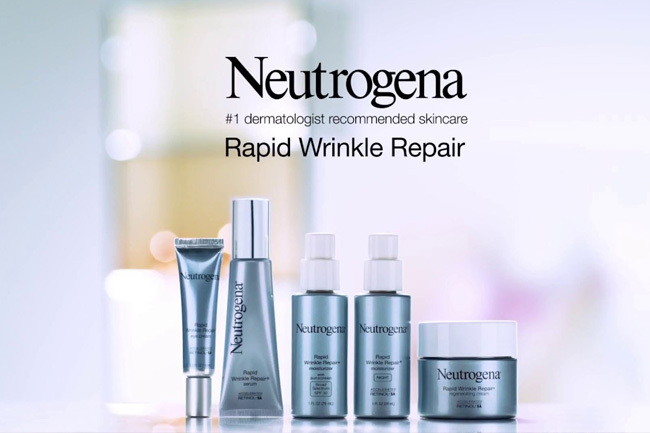 When you’re including the serum into your PM skin care routine, don’t be afraid to complete the serum’s results with the Neutrogena Rapid Wrinkle Repair Anti-Wrinkle Night Accelerated Retinol SA Facial Moisturizer. The serum is a safe choice for the sensitive skin and is a great value for the price. Should you get it or not?